Two years ago, I had the pleasure of teaching a design studio on Cockatoo Island, in Sydney Harbor, as part of the Urban Islands intensive workshop. Cockatoo Island is a semi-abandoned industrial site and former island prison—amongst many other such uses, including boarding school, wartime naval shipbuilding yard, and X-Men filmset—and a wildly inspiring site for speculative architectural projects. You can read a bit more about the island in this older post. This year's studio leaders have been announced; they are Victor Marquez, Nataly Gattegno, and Nat Chard (whose work you might have read about on BLDGBLOG the other week). 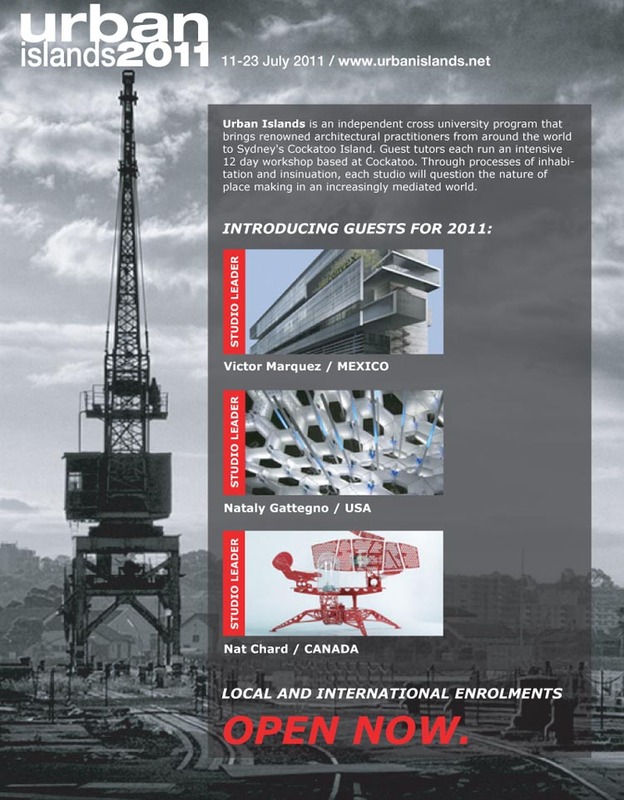 Since 2006, the Urban Islands program has hosted emerging architects and firms from Chile, Costa Rica, Denmark, England, Germany, India, Japan, Peru and the USA. Befitting its location on Cockatoo Island in Sydney Harbor, the program is constructed as an immersive experience, with high expectations on both studio leaders and their students. A collaborative and productive culture is central to the program, informed by participation in an array of events: site visits, installations, presentations, lectures, symposia and the closing day installations and reviews on the island. Applications for this year's program are now open, and international applicants are encouraged. The program itself runs from 11-23 July, in Sydney, Australia. 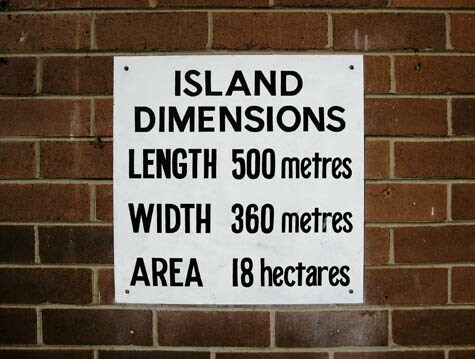 [Image: A sign on Cockatoo Island; photo by BLDGBLOG]. Check out the Urban Islands website for more—and, if you do it, let me know how it goes.